Located close to the UK’s motor-sport valley in Bletchley (near Milton Keynes), Dowse Engineering offers a comprehensive range of engineering services; and in addition to the motor-sport sector, the company undertakes work for customers in the aerospace, defence, telecommunications, electronics, automotive and medical industries. Company director Trevor Dowse said: “Dowse Engineering holds the highest level of precision engineering accreditation from the UKAS-accredited certification body. “As such, we are fully compliant with aerospace and defence quality standards and deliver all of our components to the equivalent standard. Mr Dowse says that while the company works in partnership with its machine tool suppliers, it also works closely with Thame Workholding (www.thameworkholding.com). “The depth and diversity of Thame Workholding’s range means that whenever we have explained our needs to the company’s technical staff, an efficient cost-effective solution has been supplied to us. “The use of Thame’s products has also allowed us to significantly reduce our machining times — as highlighted by the use of our recently purchased InoGrip system. “Now — subject to the application — before loading a billet onto an InoGrip vice for a milling operation, we ‘stamp’ the workpiece in our InoGrip stamping station. “This produces four precise depressions that allow the specially shaped ends of the InoGrip vice’s three jaws to lock into the last 6mm of the workpiece, rather than the 20-25mm of clamping depth usually needed when using conventional gripper jaws. “This positive fit allows us to securely clamp the workpiece with just a fraction of the previously necessary clamping force; moreover, this arrangement provides a precise reference point for re-inserting workpieces in the vice with a high degree of repeat accuracy. The InoGrip system uses a high-pressure hydraulic press to simultaneously apply four precise cruciform indentations to the last 6mm of the billet to be machined (the system allows all materials with tensile strengths up to 1,400N/ mm2 to be stamped). Following the rapid stamping operation, when the billet is transferred to the InoGrip chuck, the male cruciform features on the end of each of the chuck’s jaws accurately engage with the workpieces’ indentations. The system provides a positive secure fit with a holding force that is up to 10-times greater than that produced by conventional gripper jaws. InoGrip chucks can be used on all standard power chucks and deliver a wide range of advantages. When they are used for turning operations, users can achieve good roundness results on deformable workpieces. Also, when used for milling applications, the system allows optimum cutting values to be used (if the billet to be machined is solid, the higher clamping pressure allowed by the use of the InoGrip stamping technique means that the workpiece can be securely held while both roughing and finishing operations are performed). 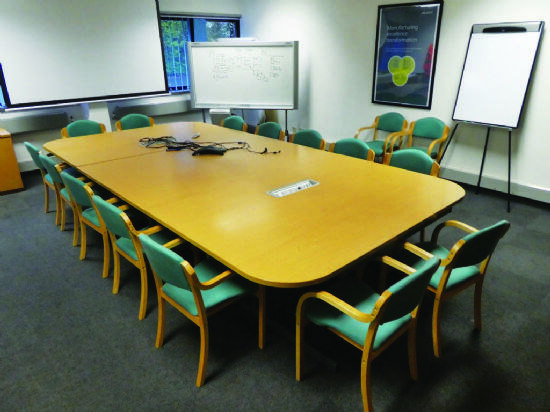 Based near Aylesbury, Thame Workholding designs, manufactures and supplies a wide range of standard and bespoke work-holding products to its global customer base. To complement its own products, the company also provide a range of work-holding solutions from leading global manufacturers — such as Lang Technik, Horst Witte, Samchully and HWR Spanntechnik — on an exclusive UK agency basis. 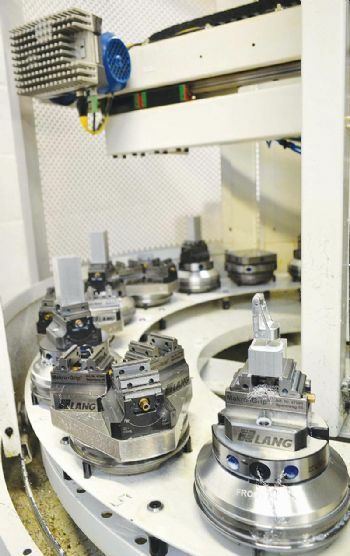 To ensure the in-house production of cost-effective high-quality products, Thame Workholding uses a range of modern three-, four- and five-axis machine tools with multi-pallet and automated loading for unmanned machining. Moreover, the company’s manufacturing facilities are supported by CMM inspection capabilities and 3-D CAD/CAM facilities; it is also holds the ISO 9001:2015 quality standard.